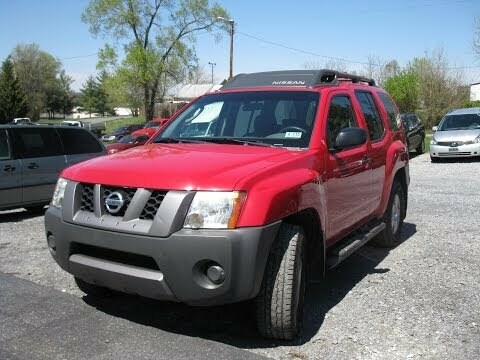 The 2008 Nissan Xterra is ideally suited for the active adventurer highlighted in so many Xterra commercials. An affordable price tag allows just about anyone to own this tough Nissan SUV, and a civilized ride makes it easy to live with in day-to-day driving. Great car for kids and dogs - I don't worry about spills or messes. Love that it is an SUV - I like being up off the ground. It's easy to get my kids in and out of without having to be bent down or squatting. I also love that the back is tough plastic so it is easy to clean out without worrying about ruining carpet. I wish it was more tech friendly - given it is older, but I wish I had a satellite radio and even perhaps remote start - would be helpful with kiddos. My Xterra has been very reliable. It has only had one leak from a heater hose which I diagnosed and repaired myself in about 30 minutes. The gas mileage isn't great at about 18 MPG but it is a larger vehicle. It safely and comfortably fits me, my wife, and two children. Tires can be expensive but that can be said for any SUV or light truck. Very spacious, excellent for travel. My xterra has been the best vehicle I have ever owned. It's been very low cost to maintain and low on maintenance. The only issue I have had is the price of gas. It's not quite as gas economical as I would prefer but the overall package is worth the extra fuel cost. I love my xterra and I would definitely buy another one.